GAAPWeb Premium was made available on 19 August 2014. No short description is available yet. GAAPWeb Premium Extra was made available on 11 May 2017. No short description is available yet. 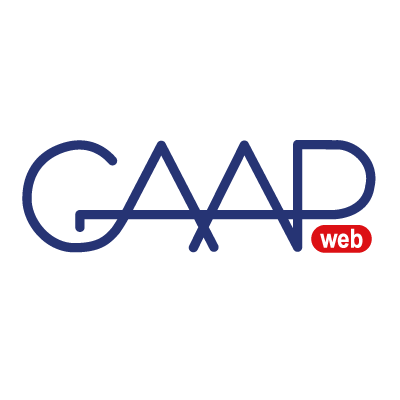 GAAPWeb Standard was made available on 19 August 2014. No short description is available yet. GAAPWeb Standard extra was made available on 16 March 2016. No short description is available yet. gdpuk.com was made available on 16 October 2014. No short description is available yet. Gemini People 2018 was made available on 24 October 2018. No short description is available yet. Careers24 is one of South Africa's leading career portals, listing jobs from a selection of recruiters and attracting hundreds of thousands of job candidates on a monthly basis. Careers24 forms part of the Naspers Group which owns companies such as DSTV, MWEB and Media24. Jobs posted on Careers24 are distributed across South Africa's leading internet network, 24.com, which reaches over three million South African browsers every month. Our job distribution network includes many of South Africa's top websites – including News24, Sport24 and kalahariads.net. Get Administrative Assistant Jobs was made available on 06 June 2017. No short description is available yet. Get Construction Jobs was made available on 06 June 2017. No short description is available yet. Get HRS on Email was made available on 03 January 2017. No short description is available yet. Get It was made available on 14 October 2016. No short description is available yet. Get Manufacturing Jobs was made available on 06 June 2017. No short description is available yet. Get Textile Jobs was made available on 07 August 2018. No short description is available yet. Get That Job was made available on 14 December 2010. No short description is available yet. Get Trucking Jobs was made available on 19 May 2015. No short description is available yet. Get Wood Working Jobs HTTP was made available on 07 August 2018. No short description is available yet. GetSet was made available on 26 March 2019. No short description is available yet. Glassdoor was made available on 24 October 2013. No short description is available yet. Glassdoor sponsored was made available on 18 March 2015. No short description is available yet. Global Sports Jobs was made available on 01 December 2011. No short description is available yet. Glos Jobs was made available on 15 April 2015. No short description is available yet. Gloucestershire County Council was made available on 05 August 2016. No short description is available yet. Gloucestershire County Council HTTP was made available on 30 August 2018. No short description is available yet. GoJobSearch was made available on 01 November 2009. No short description is available yet.